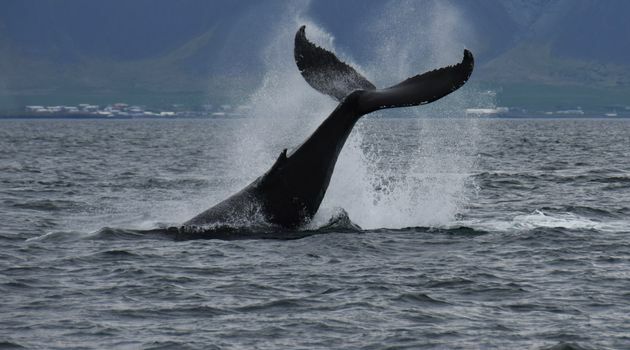 Special Tours and Whales of Iceland have partnered up to offer this combo tour, allowing you to see these beautiful animals in the wild and then see full-scale models of them to get an idea of just how big they actually are. 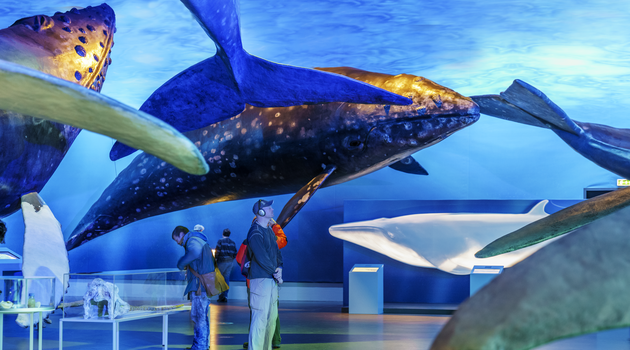 You can choose to start with whale watching, or with a a trip to the Whales of Iceland Exhibition. 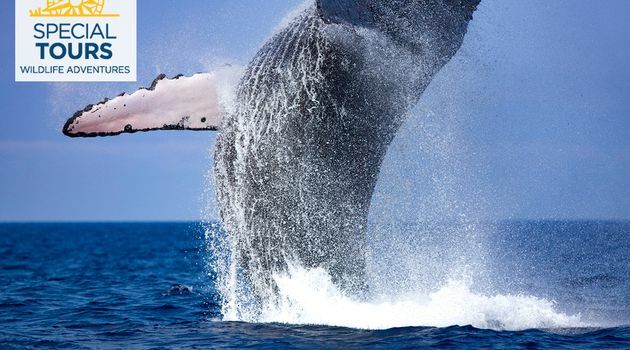 Set sail on board a Classic or Express Whale Watching tour with Special Tours to see the whales in their natural habitat. We head out to the feeding grounds in Faxaflói Bay where we search for commonly spotted whales like humpback whales, minke whales, white-beaked dolphins and harbour porpoises. 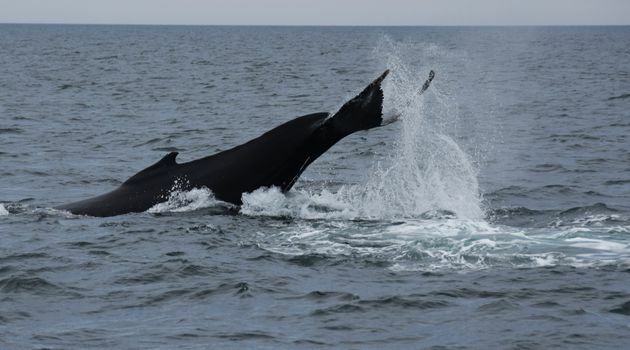 It is sometimes difficult to realize how huge these animals are when you see them in the water, which is why we recommend stopping by Whales of Iceland Exhibition on the other side of the harbour. Here you can get a good idea of how small we humans are compared to the ocean wildlife. 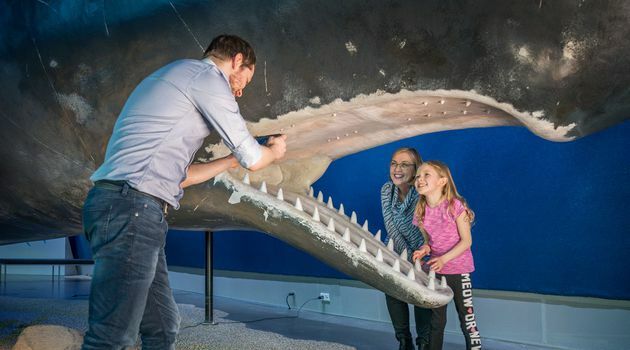 At the largest whale exhibition in Europe all 23 species that can be found in the surroundings of Iceland in real size are shown and you learn lot of interesting facts about the whales and their history. Please note: You only need to select a departure time for the whale watching tour, and not for the exhibition. The ticket for the exhibition is an open ticket, meaning you can simply choose when you want to go on the day of your scheduled tour. 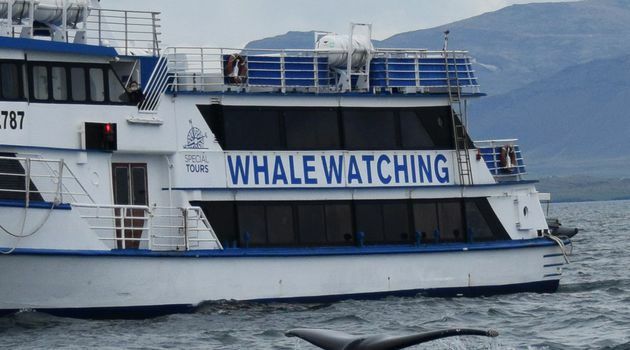 Both Whale Watching Classic and Whale Watching Express apply for this tour. 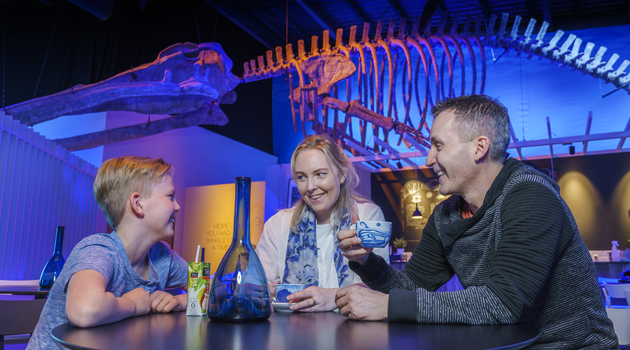 There is a daily guided tour in English at Whales of Iceland at 13:30, open to anyone with a ticket to the exhibition at no extra cost. 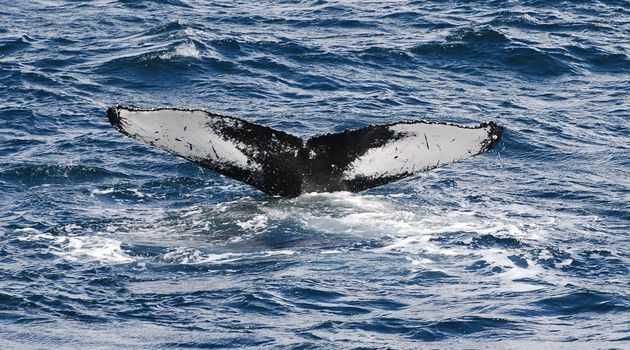 Availability: Daily departures on Whale Watching tours (weather dependent). 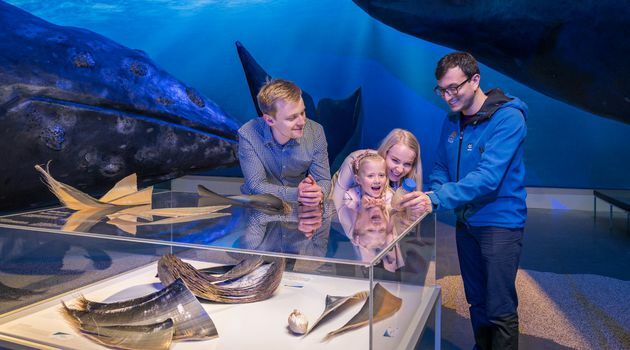 Availability: Whales of Iceland exhibition is open daily, from 9 am – 7 pm in the summer (May 1st - September 30th) and from 9 am to 6 pm in the winter (October 1st - April 30th).